ScotSAC HQ will be closed from 21st July - 3rd August. During this time, memberships will not be processed and new online accounts will not be approved. Renewing members who have paid and submitted a medical form during this time can consider their memberships as being valid. The processing of membership applications and renewals, and the approval of online accounts will be resume from 4th August. We apologise for any inconvenice that this may cause. The 2015 AGM will take place in Caledonia House, Edinburgh on Wednesday 23rd September from 7pm. Further details, meeting calling notice and proxy forms will be issued to all members with our September issue of Scottish Diver. Under our current byelaws, nominations for Directors on the Board and Members of the National Diving Council must be submitted by 31st July prior to the AGM. In addition to the above posts, nominations are invited for 6 positions of National Diving Council Members. NDC Members are elected for one year. Job Descriptions for the posts can be found here and clearly define the duties and requirements of the Directors. This ensures any nominee is aware of their duties prior to nomination and of the skills/experience necessary to fulfil the role. A nomination form is available here or by contacting ScotSAC Headquarters. All nominations for Directors or NDC Members and any resolutions for changes to the Byelaws must be received at ScotSAC HQ by 31st July 2015. In the event of any multiple nominations, ballot papers and personal statements will be circulated along with the AGM notice. Please refer to the Byelaws and Articles of Association for further information. Robin Hood Watersports have an exclusive offer on page 23 of the May/June edition of Scottish Diver. Here's your chance to get your hands on a free Thinsulate Undersuit worth £95 when buying one of their Endurance Drysuits. 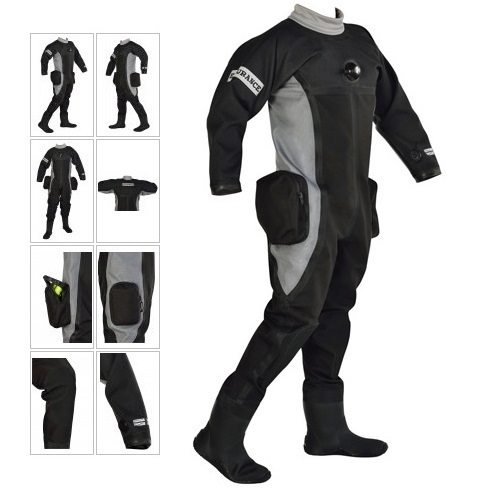 Quote "Scottish Diver Offer" at the checkout (standard size undersuits only, does not include made to measure). For full details check out the next issue of Scottish Diver Magazine which will be landing through letterboxes in the next couple of weeks. Our updated crossover guidelines have been published! This information covers the cross over procedure to ScotSAC from qualifications issued by PADI, BSAC and the SAA, and allows each member who has previously trained with another dive agency to assess what they would have to do to upgrade their existing qualification(s) to a ScotSAC diver/instructor grade. Head to the crossover page on our website to see full details. The information given on this page is provided as guidance, and as each BDO is responsible for all training and diving activities within their Branch, they are at liberty to decide if a new member requires further appropriate refresher training before being issued with a ScotSAC qualification. The next Deep Diving Course has been arranged for 25th - 26th July 2015 at ScotSAC HQ. Please log in to the members area and check out our courses section for full details.